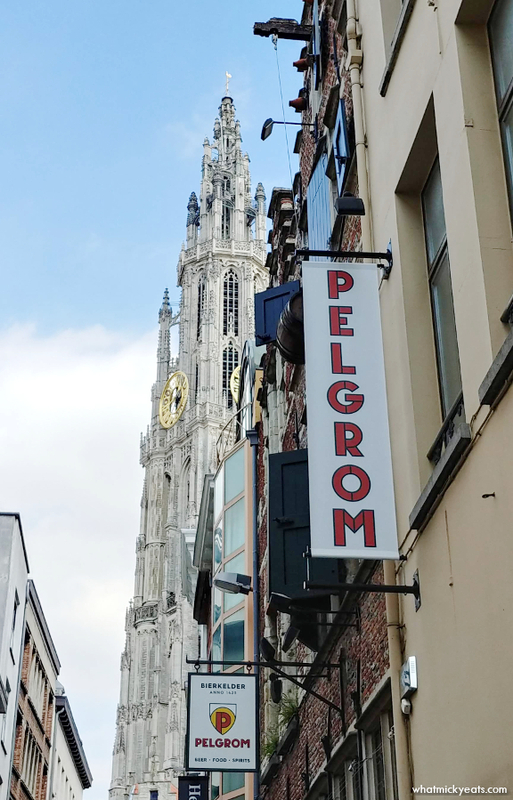 Pelgrom is a bar, café and restaurant in one, located in the most unique location in Antwerp at a stone's throw from the beautiful OLV Cathedral. 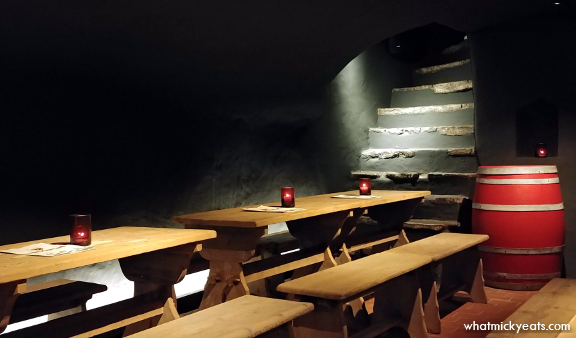 Offering 24 draft beers and over 100 beers in bottles or cans, this place is a must visit for beer lovers of the world with a unique atmosphere that takes you back to the early 1400s. 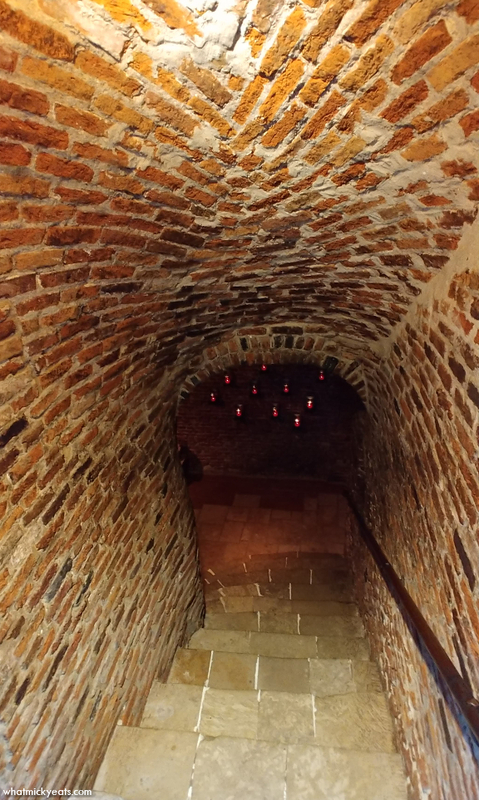 Entrance to the cozy cellars. With so many beer options, we decided to start with a sampler called Tour de Force. 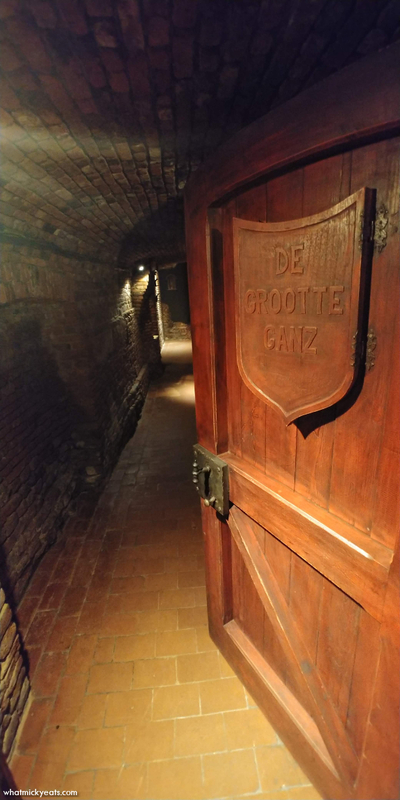 It included the Golden Carolus Tripel, Malheur 10, Troubadour Magma, and St. Bernardus Abt 12. These were pretty high abv content - ranging from 8-14%. I liked the more citrusy beers. 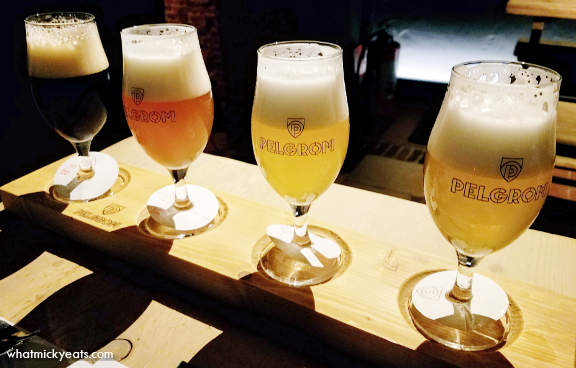 The tasting pours were basically a full glass, so this was more than enough beer for our lunch. Speaking of lunch, we also ordered some of the traditional fare. 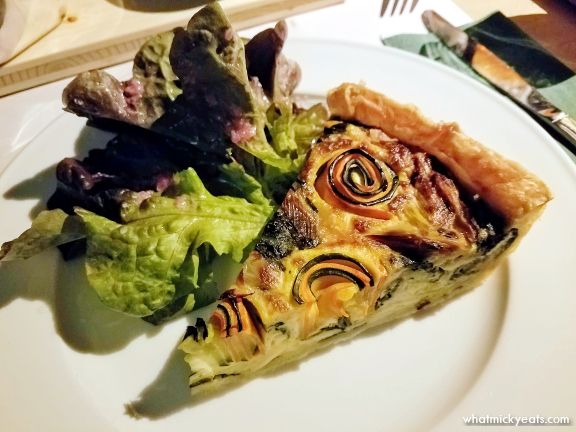 I chose a vegetarian option of Quiche with Leeks and Spinach. It was beautiful and tasty, served with a small side salad. I would have preferred the quiche to but a bit warmer though. 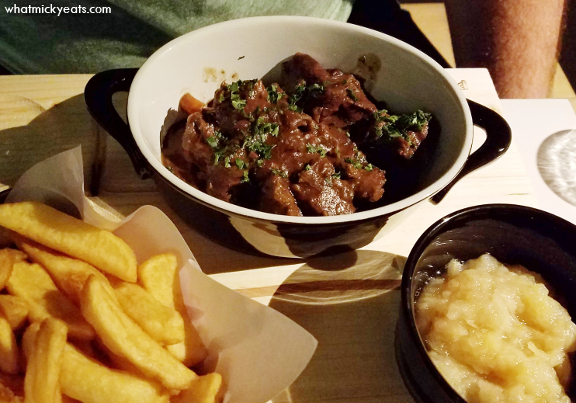 Keith ordered a beef stew called Van Den Endvogel made with some of the St. Bernardus beer and served with fries and homemade apple sauce stewed in the Golden Carolus Tripel. The stew was filling and overall paired expertly with the beer.